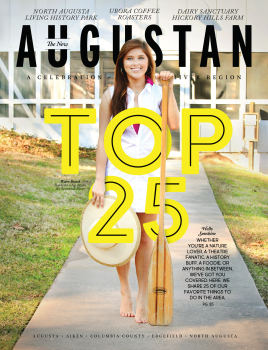 Ask any local where the best place to go kayaking is and they’ll tell you – the Augusta Canal. This urban green space is one of Augusta’s most treasured recreational and historical attractions and Georgia’s first National Heritage Area. Learn about the rich history of Augusta waterways at the Augusta Canal Discovery Center. There are trails for walking, biking that spans the length of the canal, and boat tours that highlight the history of the canal operate year-round. Kayak and bike rentals at the canal’s head gates, known as Savannah Rapids Park & Pavilion, are popular in the spring, summer and fall and are a great way to spend an afternoon soaking up the sun.